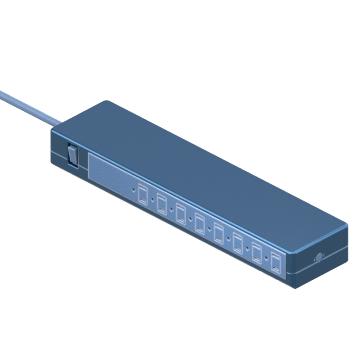 Place these surge protectors between electronics, computer systems, data storage devices, and other sensitive equipment and the power source to protect the equipment from overvoltage conditions. 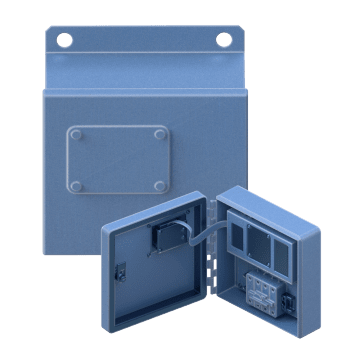 These non-modular external-mount SPDs are compact for installation on a vertical surface at a service entrance, a branch, or provide dedicated protection for a specific piece of equipment. 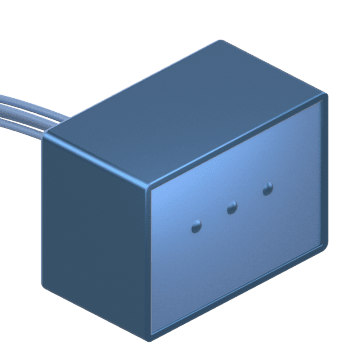 Modular external-mount SPDs have plug-in surge modules that can be replaced when damaged, eliminating the need to replace the entire panel. 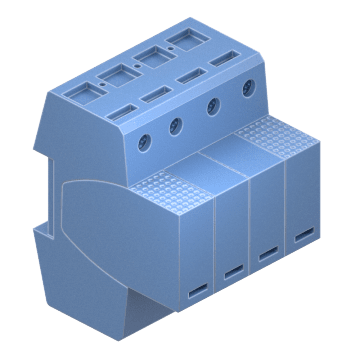 The modular system eases maintenance and replacement of damaged parts. 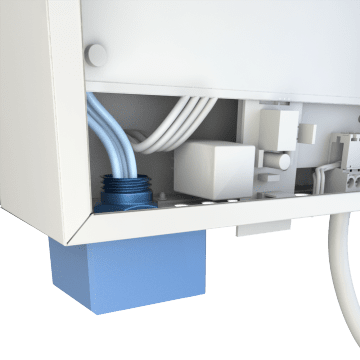 External mount systems are installed on a vertical surface at a service entrance, a branch, or provide dedicated protection for a specific piece of equipment. Mount these SPDs on DIN rails for use in a variety of industries, including AC/DC distribution, HVAC, motor control, and telecommunications. Protect sensitive audio and video equipment using these standalone, desk-mount SPDs. Power filtering produces a consistent power output to help produce uninterrupted picture and clear sound.